Janely Griffith Gonzalez realized the disconnect when she chaperoned field trips at Meadow Lane Elementary School in Lee’s Summit. Her 8-year-old daughter was in a class of mostly minority students, but the school had very few minority teachers. On one trip, a student started yelling on the bus, and in Gonzalez’s eyes, the teachers didn’t sufficiently discipline him. So, she did it herself. It’s possible, she said, that minorities responded better to her than to their teachers because she is a person of color herself. The U.S. is becoming more racially diverse, but there is a shortage of teachers of color, so the diversity gap between teachers and students is increasing, according to one expert at the University of Missouri-Columbia. Gonzalez noticed this gap in two Kansas City-area school districts in 2015 and 2016. She and her daughter now live in Florida, but she asked curiousKC to look into the demographics of teachers and students in the Kansas City area. A study by the Brookings Institution in 2016 found that teachers of similar racial and ethnic backgrounds to their students have a “cultural understanding” that allows them to connect with those students on a deeper personal level. Those teachers in the study were better able to notice when those students were confused about a topic and explain it in a way they could understand based on their shared heritage. Teachers also were more likely to check in with students demographically similar to them to make sure they were learning. They made an effort to ask those students about their ideas. Overall, students felt happier and more cared for by teachers that looked like them than by teachers that didn’t. However, teachers and students of the same race or ethnicity might have different economic backgrounds, national origins, connections to their heritage or other differences, said Tony Castro, an associate professor of social studies education at the University of Missouri-Columbia. “It’s not a one-to-one correlation,” he said. Castro’s research interests include recruiting teachers in a culturally diverse context. He said that if a teacher has developed cultural awareness based on intercultural experiences, regardless of his or her own race, that teacher can connect with and foster growth in students of all races. But people with little to no experiences interacting with other cultures can sometimes see students who don’t look like them through the lens of stereotypes, Castro said. Multiple factors play into the shortage of teachers of color. Fewer Latinos and blacks complete a bachelor’s degree than white people in general, Castro said. Minorities tend to come from lower socioeconomic backgrounds, and they tend to start their postsecondary education at the community college level because it is less expensive and often closer to home than a four-year school. The not-for-profit Education Trust reported in 2009 that only 7 percent of minority community college students both transfer to a four-year school and complete a bachelor’s degree within 10 years. Castro said community colleges often do not provide the prerequisites that allow students to pursue an education degree after transferring to a four-year school. Additionally, students pursuing teaching have to complete field experiences and a semester of student teaching. “The opportunity cost of doing that is very high,” he said. Minorities usually do not want to spend so much money on a degree for a job like teaching that doesn’t pay much, he said. Instead, they often choose to study business, engineering and other career areas that provide more economic mobility. Gonzalez said she was not surprised to learn that there are so few teachers of color in Jackson County school districts. Gonzalez felt as if the playing field was tilted in favor of white students from the mostly white teachers. For instance, she said, she did not even know about an advanced math class — or that her daughter was excelling in math — until a teacher mentioned it to a white student. Gonzalez’s daughter eventually got into the math class and was happier, though she felt the school could’ve acted quicker on making the move. School districts are addressing this problem in several ways. 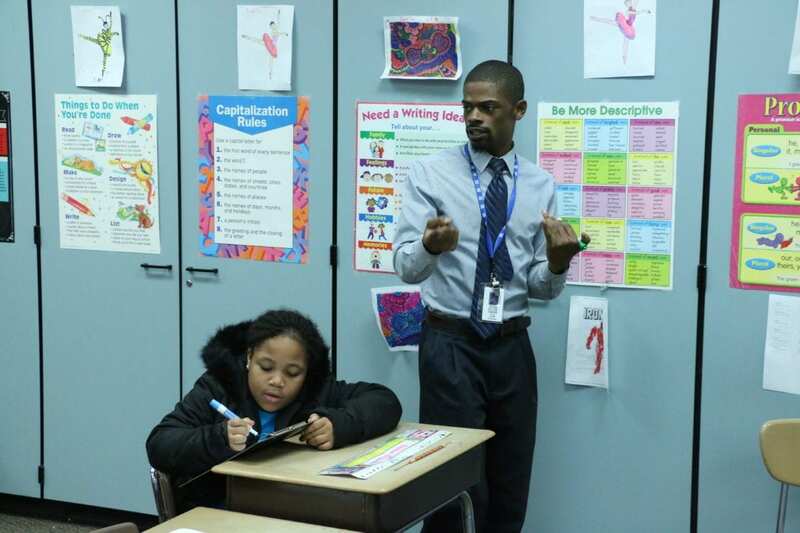 Center’s “grow your own” program encourages its 80 percent minority student population to become teachers. Nearly 10 percent of the the district’s 450 staff members are former students. Grandview has a different approach, according to spokeswoman Sheba Clarke, who said the district focuses on principles like cultural competency and implicit bias. In September, more than 300 Grandview staff members participated in an exercise on the high school football field that provided a visual representation of bias. When asked if they had ever felt they were treated differently because of the way they looked, people who said yes stepped forward, those answering no stepped back. Gonzalez said it’s time that people get past their prejudices against people of color. Teachers and parents are both responsible for teaching children how to treat people with respect, she said. She wants two things to be true for children who go to school in the Kansas City area: that they see themselves and their cultures represented in their teachers, and that all students are treated equally. — The authors are students in a convergence journalism class at the University of Missouri-Columbia.